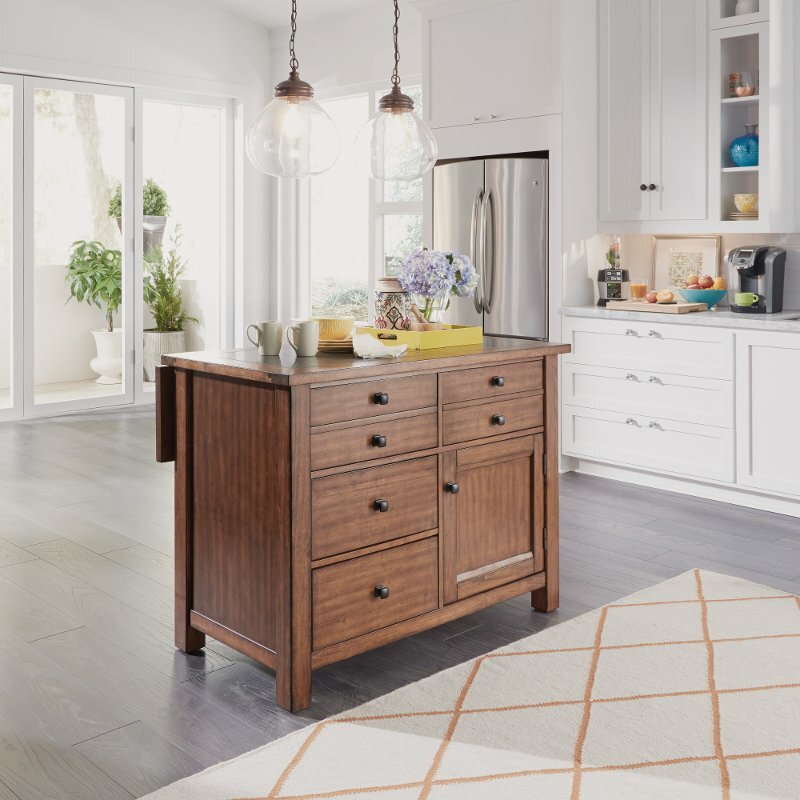 Kitchens are the meeting place in the home today, and there is no more comfortable place to be than at the Americana Kitchen Island. 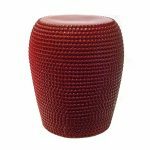 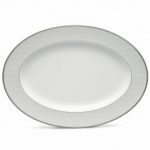 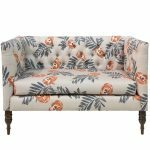 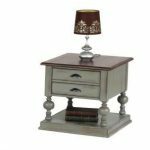 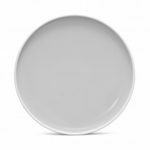 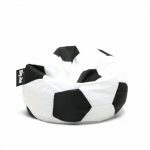 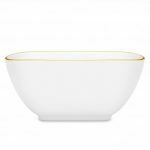 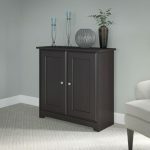 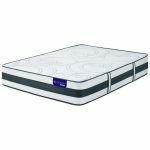 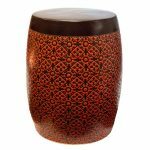 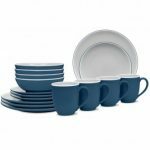 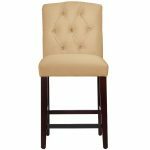 Crafted of hardwood solids and veneers, with engineered woods, and finished in a deep grey painted finish. 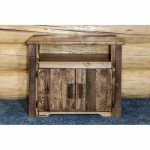 Physically distressed oak finished top, which features worm holes, fly specking, and small indentations. 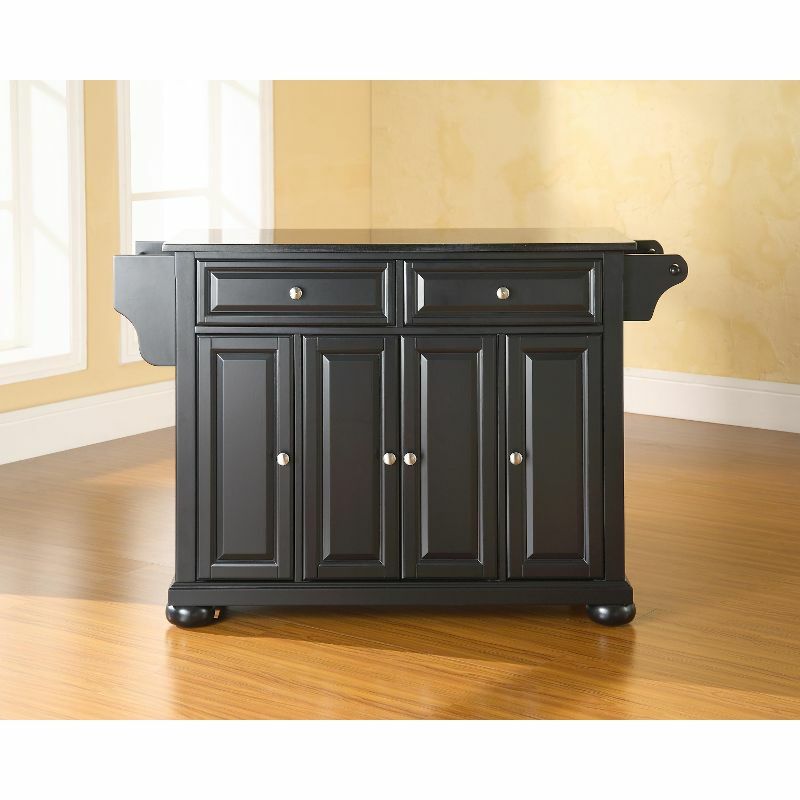 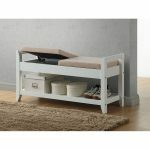 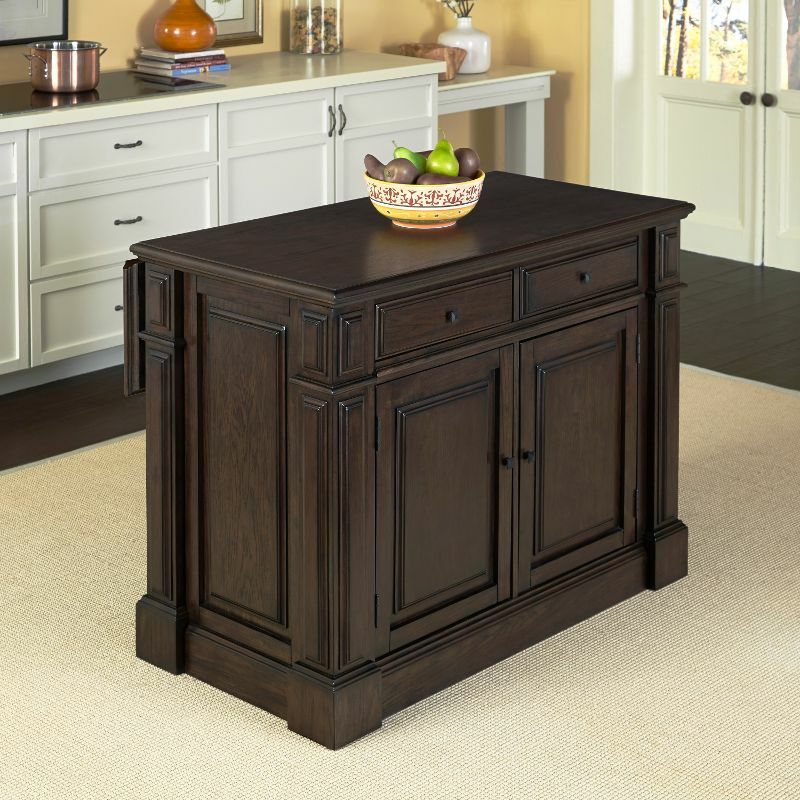 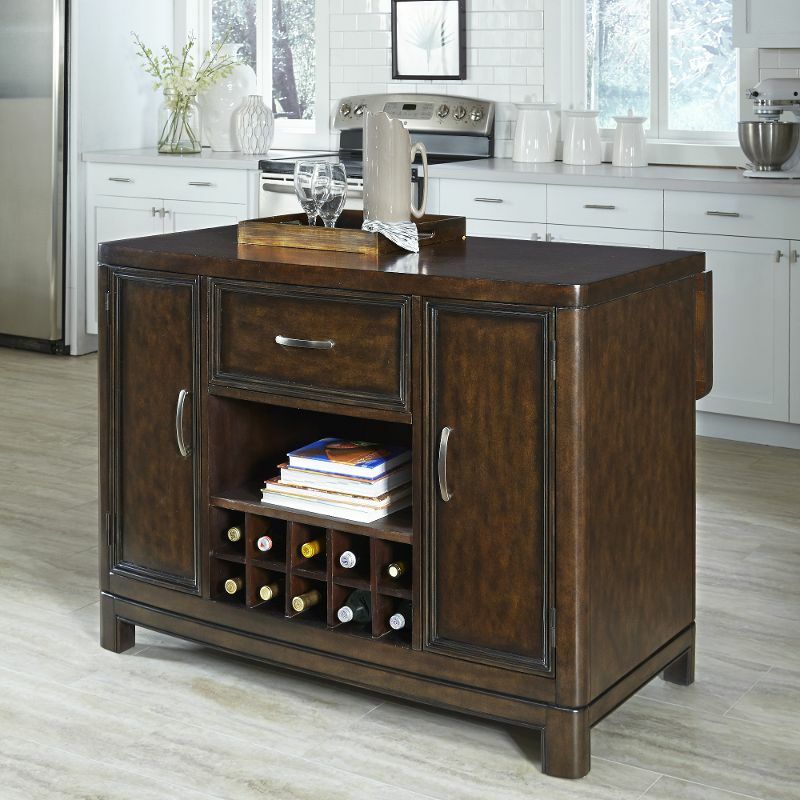 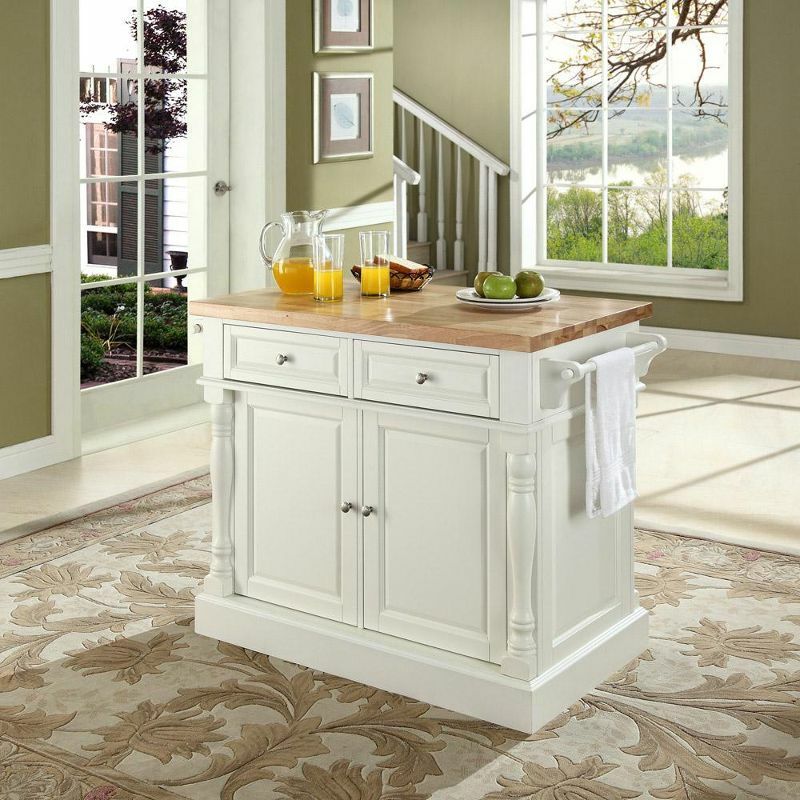 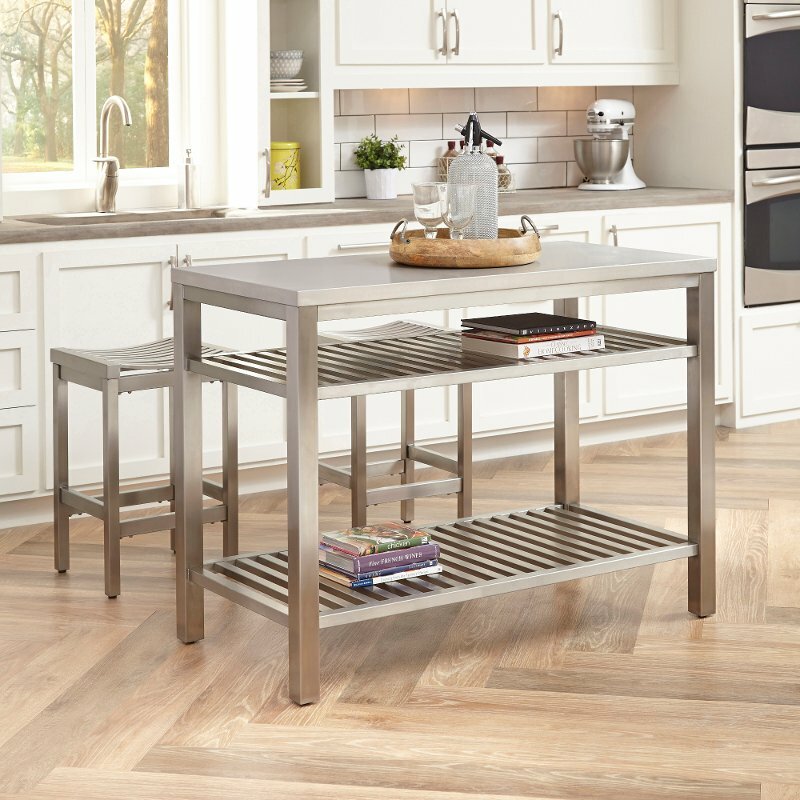 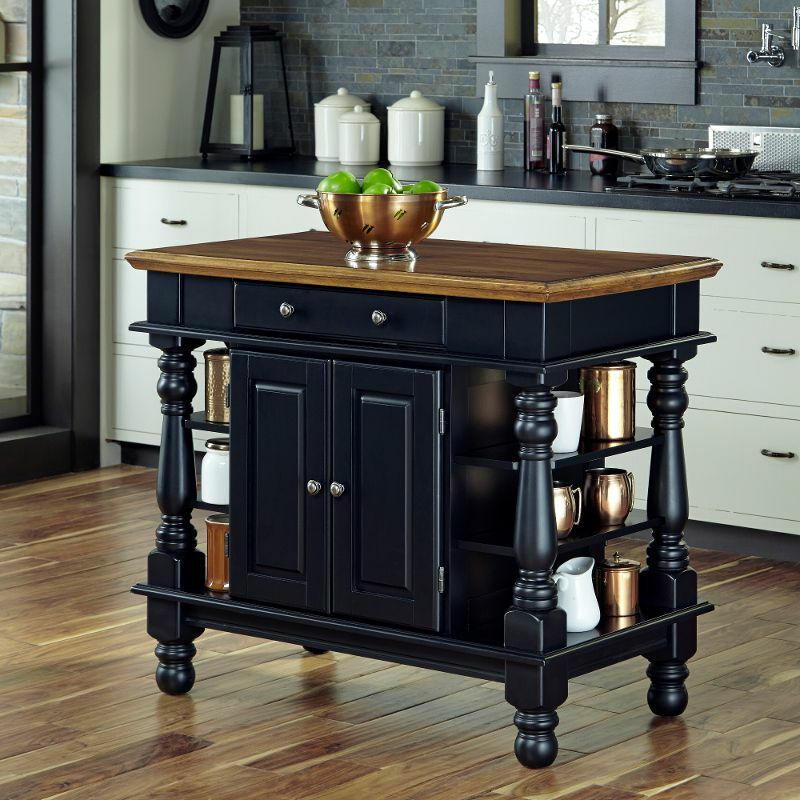 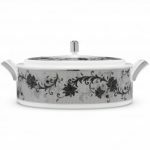 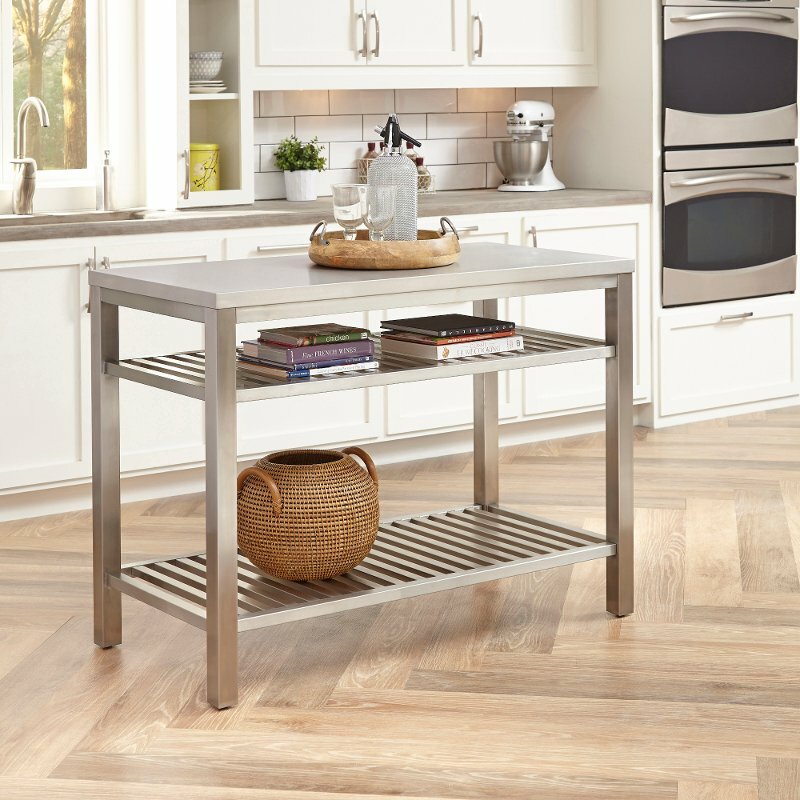 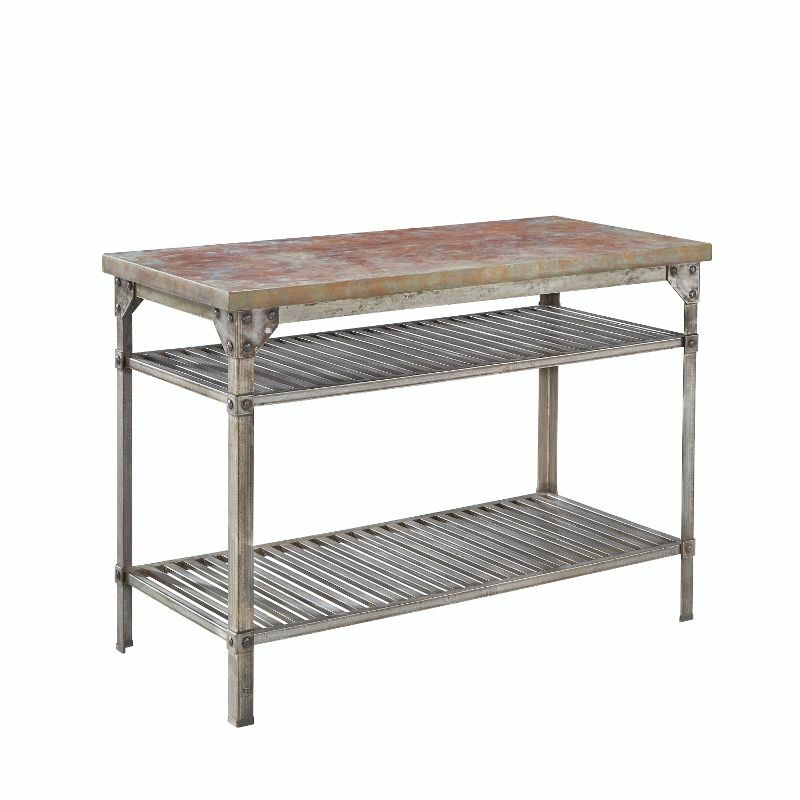 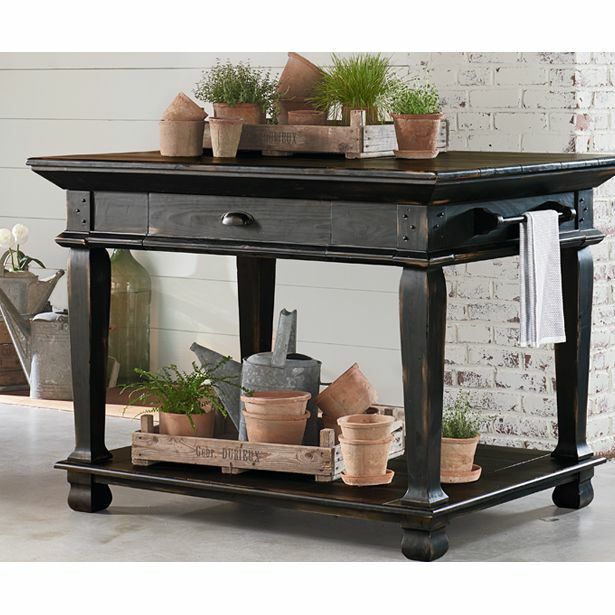 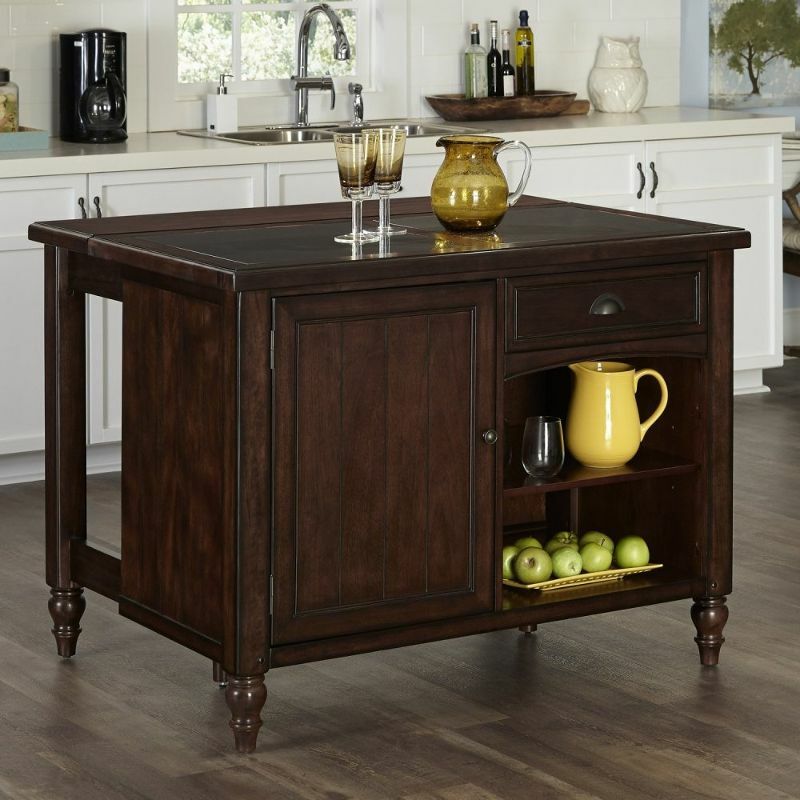 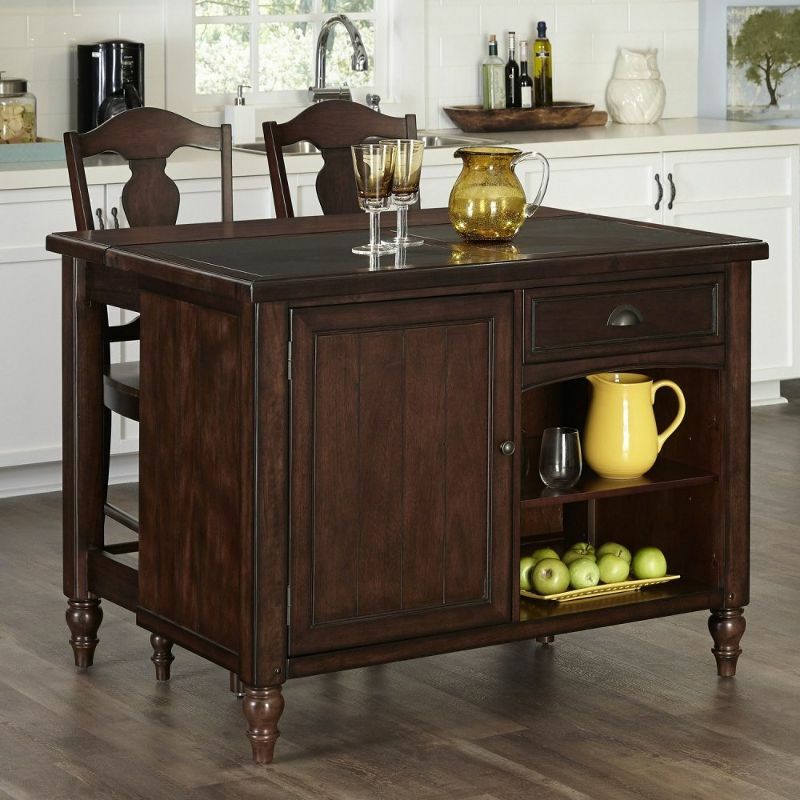 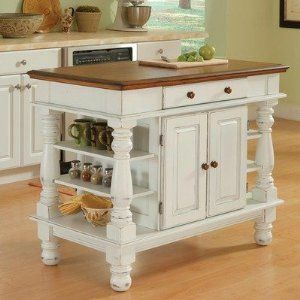 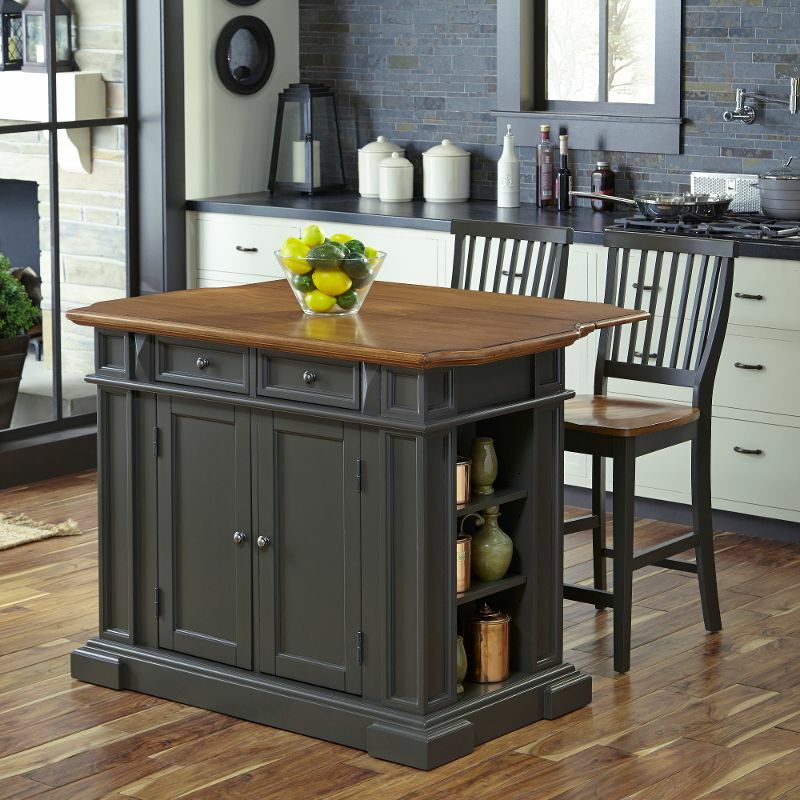 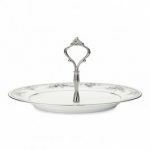 Americana” Collection Antiqued White Kitchen Island Step into a comfortable surrounding that is Americana. 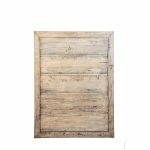 Rustic design elements are apparent in the strong lines of the raised panel doors and hand-applied, Antiqued White sanded and distressed finish over hardwood solids and engineered wood. 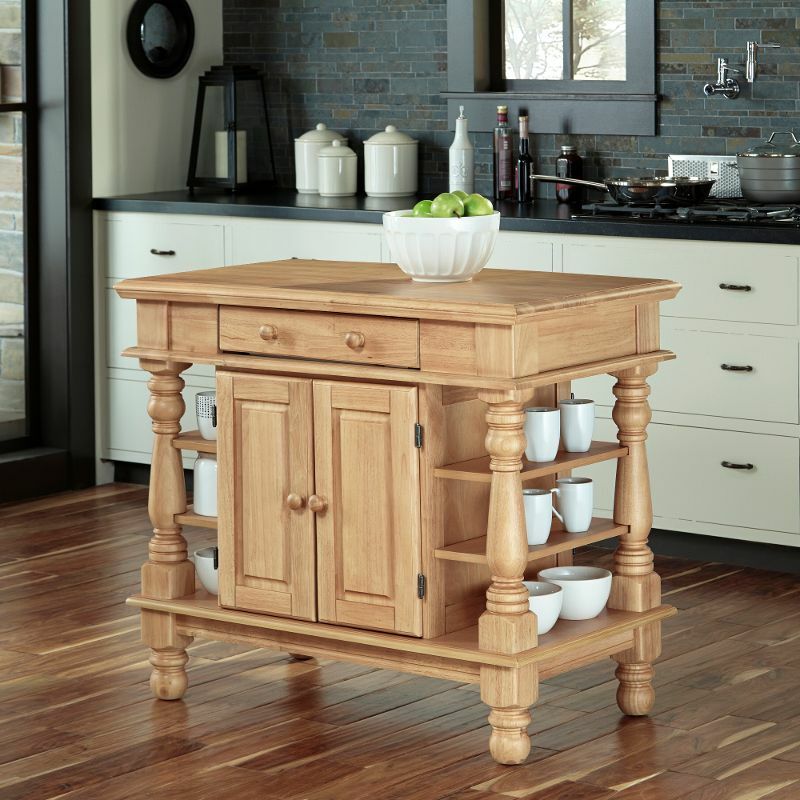 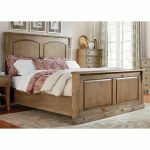 A distressed Oak finished top and matching Oak finished knobs complete the look. 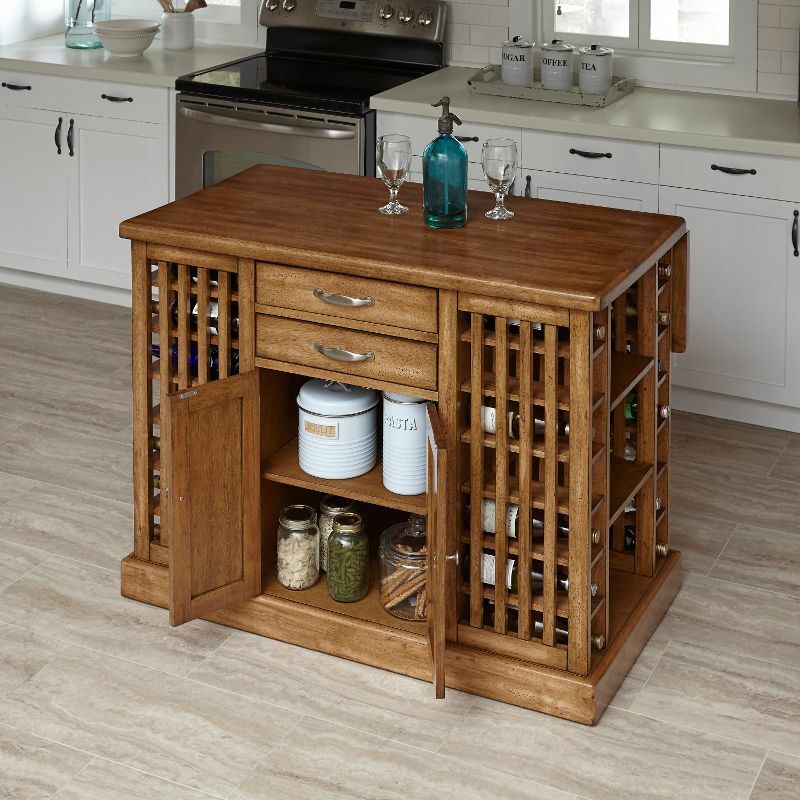 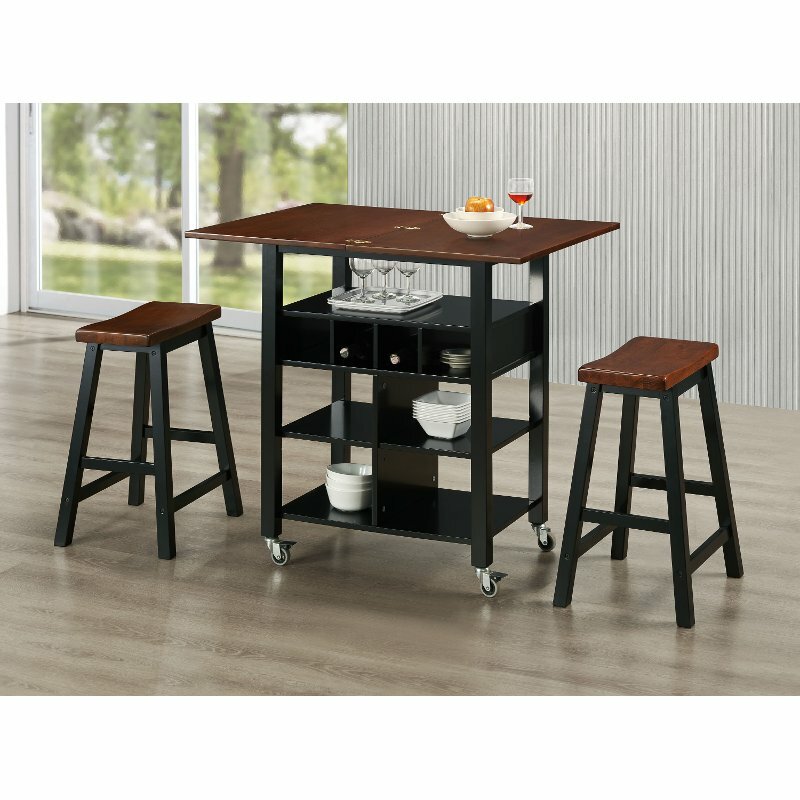 We can all use a little extra storage and counter space in our kitchen and this kitchen island from RC Willey can give you just that. 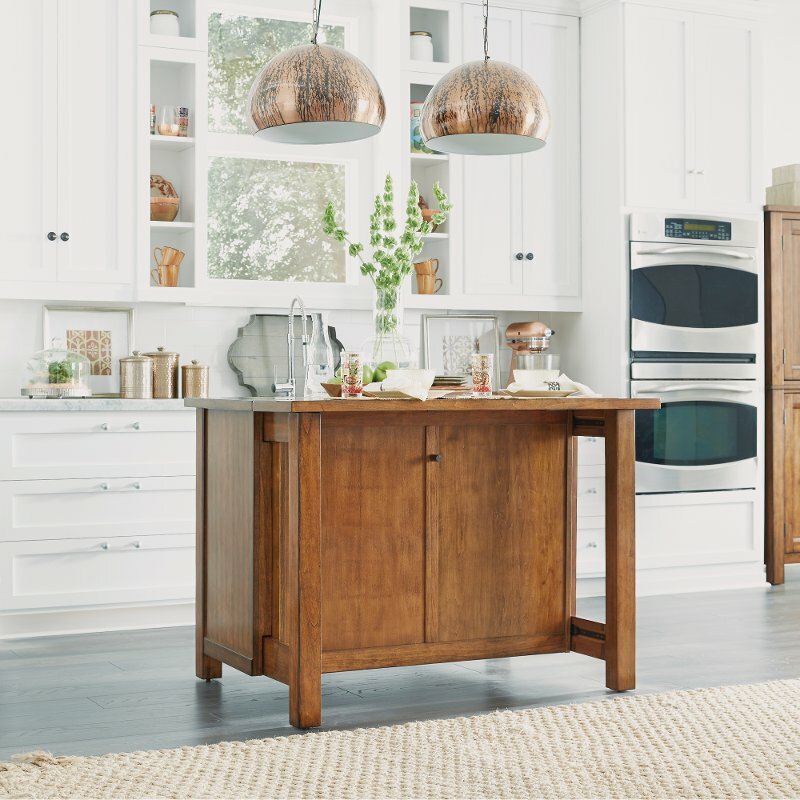 The island perfectly combines warm wood tones and a simplistic design to create an island that will coordinate with any decor and is as functional as it is decorative.